I know this stitch as the Linen Stitch, but have also seen it called the Moss Stitch (although the Moss stitch as I know it is slightly different). 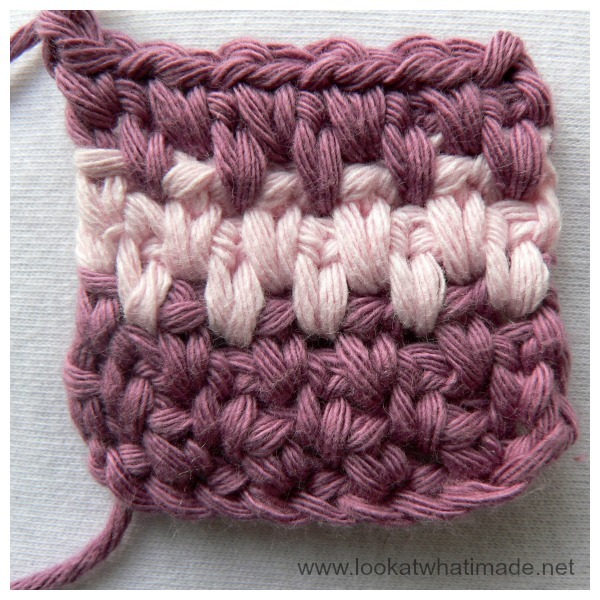 It is one of the simplest stitch patterns to master and yields a pretty, woven, dense fabric. 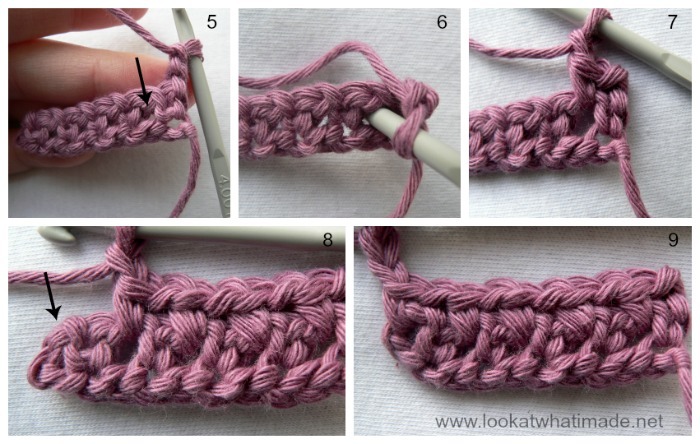 The reason it is so simple is that you don’t even have to know how to work into the loops of the single crochet stitches, because you will be working into the ch-1 spaces between single crochet stitches instead. 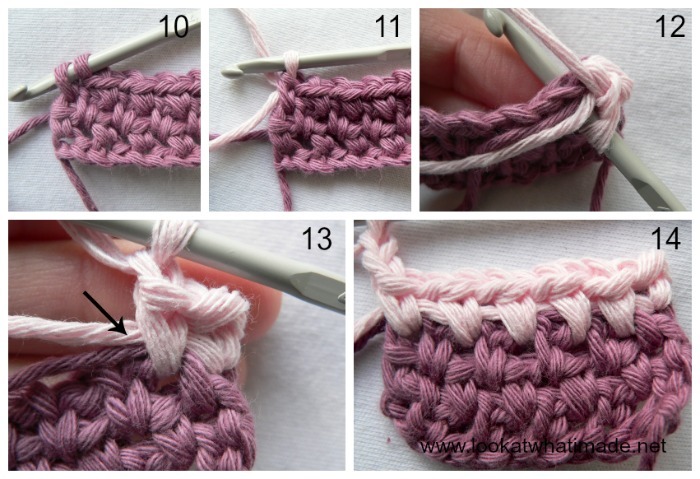 This stitch is excellent for working up a quick and easy chunky baby blanket and it is so much prettier than just regular old single crochet stitches. 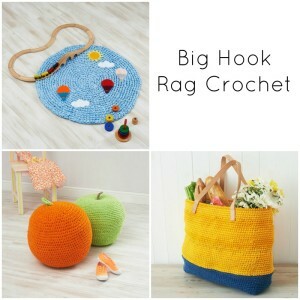 You can use any yarn/hook combination your heart desires. Using a single strand of light worsted weight (double knit) and a 1 cm crochet hook, for example, will yield a very “holey”, loose blanket (you can see this post about my Rainbow Blanket if you want to see what I’m talking about. The pictures are horrendous and the yarn is even worse as I could only afford the cheapest of yarns when I started out, but we still use the blanket often and love it a lot). The linen stitch is basically a repetition of *ch,sc*, working into the ch-1 space formed by the ch-1’s in the previous row. You are effectively single crocheting BETWEEN single crochets, giving you a staggered woven look. Stitches are worked into the ch-1 spaces, NOT the loops of the actual stitches. One linen stitch = sc + ch into a ch-1 space. The initial Ch 2 at the beginning of each row counts as a ch-1 space (so one linen stitch). 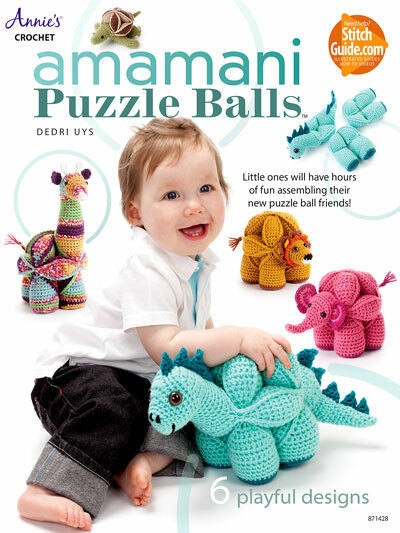 US Crochet Terminology (Find a US/UK conversion chart HERE). * Repeat all instructions between asterisks the amount of times specified. Start with an even number of chains. In this case I have used 12 ch st’s (Photo 1). Sc in the fourth chain from the hook (Photo 2). *Ch 1, skip the next ch and sc in the next ch (Photo 3)*. Repeat the instructions between asterisks until you get to the end of your chain. Ch 2 (Photo 4) and turn. You will have half as many linen stitches (so *ch, sc* clusters) as the number of foundation chain stitches. Remember that the ch-2 turn counts as one linen stitch. Sc in the first ch-1 space. To do this, insert your hook under the ch st between the first 2 sc’s (indicated with an arrow in Photo 5 and illustrated in Photo 6), and make a sc (Photo 7). *Ch, sc in the next ch-1 space*. Repeat instructions between asterisks until you get to the end. Remember that the turning ch-2 (indicated with an arrow in Photo 8) counts as a stitch and should be worked int0. Ch 2 (Photo 9) and turn. If and when you decide to change colours, it is a good idea to work over your yarn ends as you add each new colour. That way you won’t have a million tails of yarn to work away at the end. You will need to change colours on the last yarn-over of the last sc of the row BEFORE the colour change. With normal single crochet, you only need to worry about working over your tails of yarn in the first row. With the linen stitch, you need to work over your tails of yarn in the next TWO rows. That will make a bit more sense in a minute. So to change colour on the last yarn over of the row before the colour change, insert your hook into the ch-2 space at the beginning of the previous row. Yarn over and pull up a loop (Photo 10). 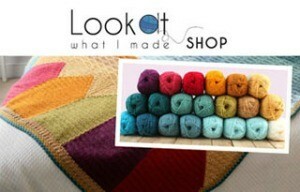 Yarn over with your new colour and pull through both loops on your hook (Photo 11). Ch 2 and turn. Hold your tails of yarn in front of the stitches of the last row. Insert your hook into the first ch-1 space, working OVER the tails of yarn (Photo 12). Make your first sc. This will trap the yarn under the sc (indicated with an arrow in Photo 13). 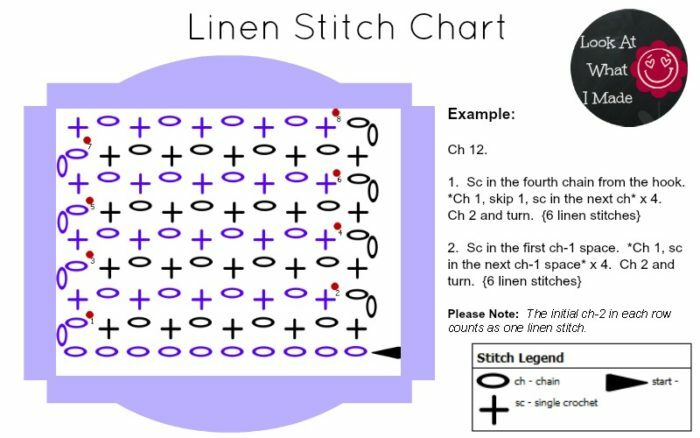 Continue making a linen stitch in each ch-1 space as instructed above. When you get to the end of the row, ch 2 and turn. Photo 14 illustrates the first row worked OVER the tails of yarn. You will notice that the tails of yarn are still quite visible. To ensure that these tails of yarn won’t be visible on your final piece, we will need to work over them again. More specifically, you will need to trap them under the sc’s of the next row. So insert your hook into the first ch-1 space, making sure that you insert your hook UNDER the tails of yarn running through the ch-1 space, and make a sc. Photo 15 shows the hook inserted UNDER the tails of yarn (this photo is taken from the back of the work). Continue making a linen stitch in each ch-1 space, making sure that you insert your hook UNDER the tails of yarn every time. Photo 16 illustrates the difference between inserting your hook under the tails of yarn (indicated with white arrows on Photo 16) and NOT inserting them under the tails of yarn (indicated with black arrows in Photo 16). By altering how frequently you change your colours, you can get a variety of different looks. 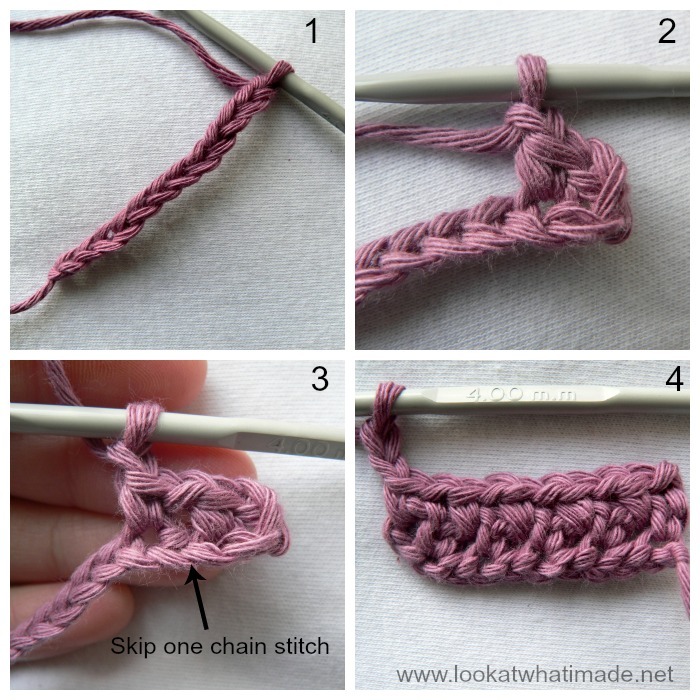 Now that you know how to do the linen stitch, why not try this simple sample pattern below. If you are going to make a dishcloth, I suggest using cotton yarn (I used mercerized cotton for my Linen Stitch Dishcloths). 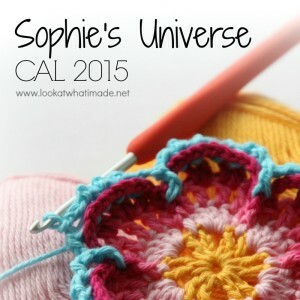 If you are going to make a Lovie, you can use whichever yarn type your heart desires, as long as it is nice and soft. Double knit yarn (light worsted weight/#3) in grey, red, cream and light blue. I am using Patons Smoothie in Slate, Cream, Red, and Pale Blue to create a Lovie. 1. Ch 42. Sc in the fourth chain from the hook. *Ch 1, skip the next ch, sc in the next ch* x 19. Ch 2 and turn. (21 linen stitches – remember that the initial ch-2 counts as one linen stitch). I hope you have found this tutorial useful. If you have any questions, or suggestions on how I can improve this tutorial, please do not hesitate to contact me. Remember to subscribe to my newsletter if you would like to be kept in the loop. 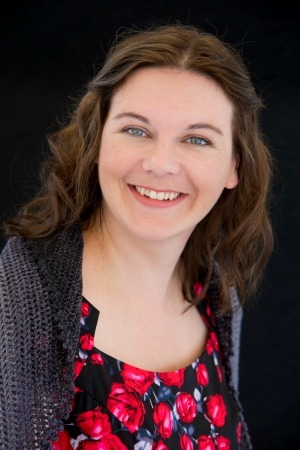 You can also like my Facebook page or follow me on Bloglovin or Google+. Thank you so much for these instructions. I have made a temperature blanket for a child’s first year which worked brilliantly. It’s the perfect stitch for a project 365 rows high. That sounds great :) Did you share any photos anywhere? Happy to share with you, is there an email address I can send a photo to? I sure hope you are still checking this :) I have been following you since Sophie and love everything you do. 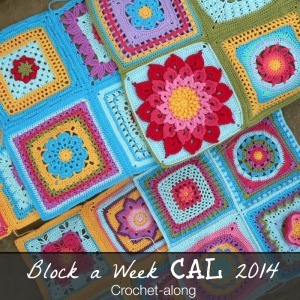 I am currently working on a c2c carpenter’s wheel quilt crocheted and have chosen the linen stitch as my border. My quilt is queen sized and consists of three colors (red, pink, white). My plan was to do five rows alternating red and pink, then three rows of white, then five rows of red and pink again ending with a crab stitch in red. My corners are sc, ch 2, sc though…I did notice where you said previously to do sc, ch1, sc, ch1 but I doubt that would make it wave?? Any ideas?? To begin my border, I started a round of sc’ing between the c2c squares and doing a ch2 over the c2c squares (if that makes sense, I hope it does) just to give me an even round to start with and then started the ch1, sc of the linen stitch onto that. I apologize if I am rambling, I hope this all makes sense. Hoping for your wisdom!! Thank you for reading! Hi Casey. Have you got a photo that you could send me? It would be easier for me to troubleshoot for you if I can see what is happening. You can email me at dedri(at)lookatwhatimade(dot)net. Hi Sylvia. In this pattern there is no need to decrease. The increases happen in the corners. Most of the scarves and cowls I see that use the crocheted Linen Stitch are worked the long way (in other words, chain about 150!). Is there any disadvantage to making a scarf or a cowl using short rows, so each row would only be maybe 20 stitches wide, and continuing in this way until the scarf reaches the desired length? Hi Jane. I have found that the fewer stitches you have on the short row, the thinner the scarf can become when worn. I would make one with a thicker yarn if doing a thin scarf with your suggested number of stitches. I have a hole in a linen stitch afghan. Any hints on how to fix it ?? Hi Tricia, I will need more details. How big is the whole? Work in the tails a second time……. You are simply awesome Dedri! Did you try this pattern the way the tutorial describes? 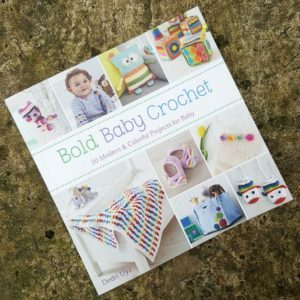 It doesn’t leave me with half as many stitches as I start with…. it is only 2 less stitches???? (even looking at the chart and the photos) What am I not seeing??? Hi Dawn. 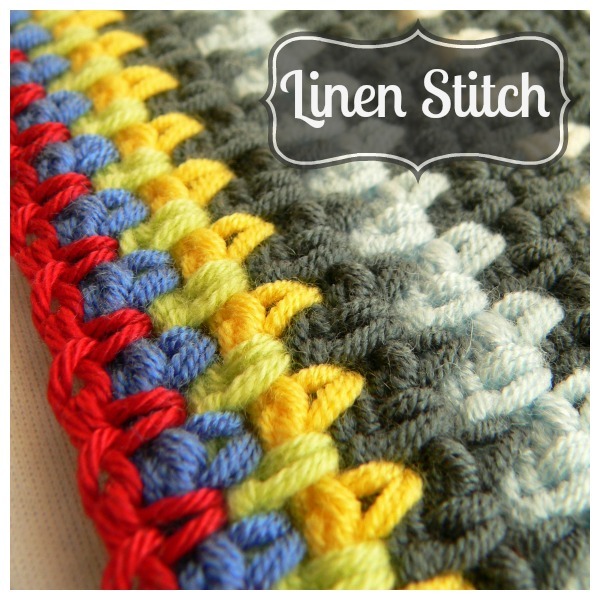 The linen stitch is (sc, ch 1) or (ch 1, sc), depending on how you look at it. I suspect that you are counting each sc and each ch, when you should be counting them as a unit in this instance. I’m really enjoying your website. I have found myself here twice in the last week looking over patterns you have posted. Thanks for your work and willingness to share. Hi Anne. The linen stitch does shrink in width and the amount of shrinkage varies with personal tension, yarn, and hook size. I generally make a starting chain about a quarter longer than I think I will need. If the resulting square isn’t big enough, I add a single crochet or linen stitch border all the way around. Alternatively, make a gauge swatch (aiming for a starting chain of 20 cm – which should give you at least 10 cm/4″ to work with). Measure the number of linen stitches and rows in a 10 cm square of your gauge swatch (use pins to mark out a 10 x 10 square). Divide the number of linen stitches by 10 (the size of the swatch) and times that by the size you want your pillow to be. For example, if you have 20 linen stitches in 10 cm, that will give you 2 linen stitches per cm. If you final pillow is 50 cm, multiply 2 by 50, giving you a hundred. Make the required number of starting chain stitches for 100 linen stitches. I hope that makes sense. 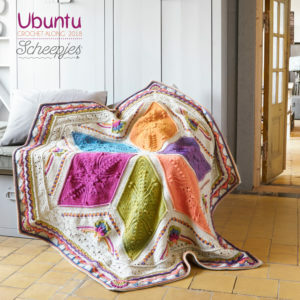 Thank you for using such a lovely simple stitch and with it’s versatility, to create beautiful projects. 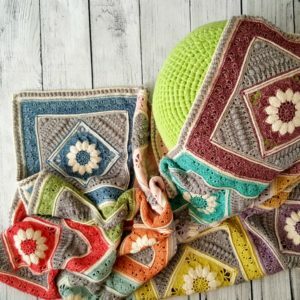 I have put this link into a pattern I wrote. 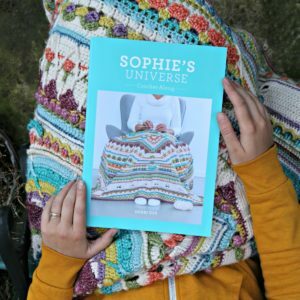 I like to give credit, where credit is due, and it is a little unconventional, as I link up all the wonderful designers that have inspired my stripey blanket.